We know the feeling. The alarm goes off. You press snooze once or twice (or maybe more). You open your closet and then it hits you—that feeling when you have nothing to wear. 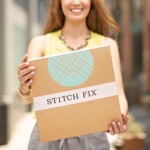 Give your wardrobe a mid-winter shake up, just in time for the start of spring. 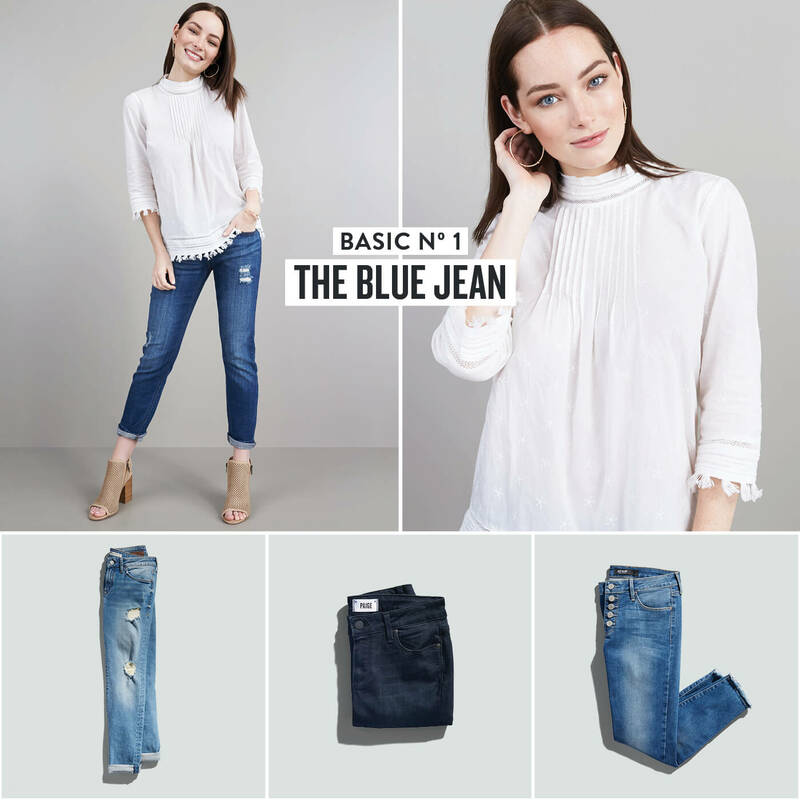 You have the basics and we have the tips to make them feel new again! There’s nothing more comfortable than your favorite pair of blue jeans. Distressed denim can be dressed up or down for an effortlessly cool look. For a no-fail combo wear them with winter whites or neutrals for an outfit that breezily takes you through the rest of winter and beyond. 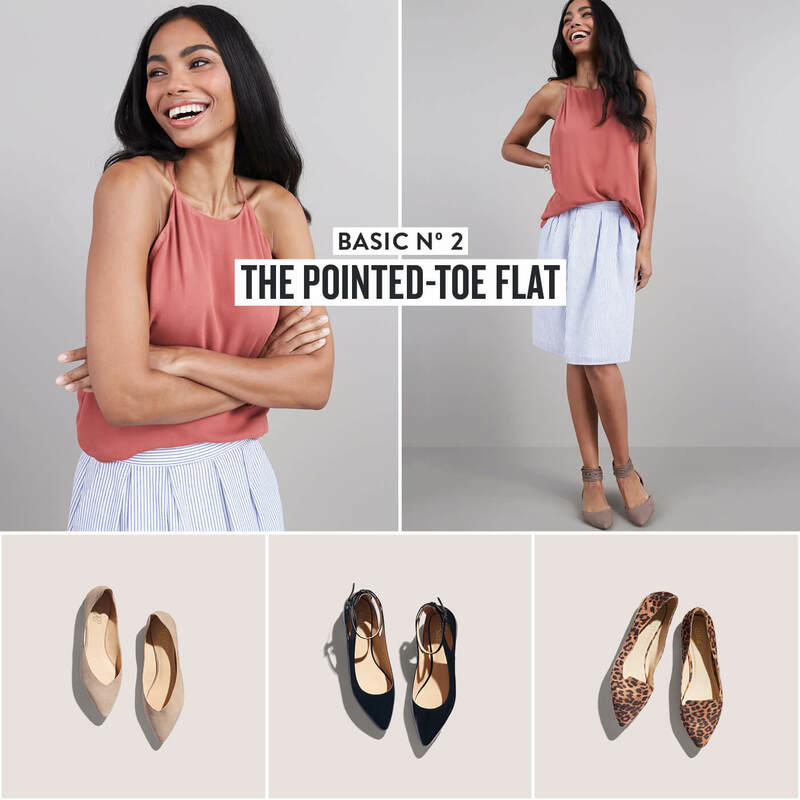 For those days when you’re favoring flats, choose the boldest pair in your shoe closet and make them the focal point of your outfit. Pair them with understated staples like a jean jacket, a striped top and a cute midi skirt that can be worn well into next season. We get it, some days you just want to set aside the heels. 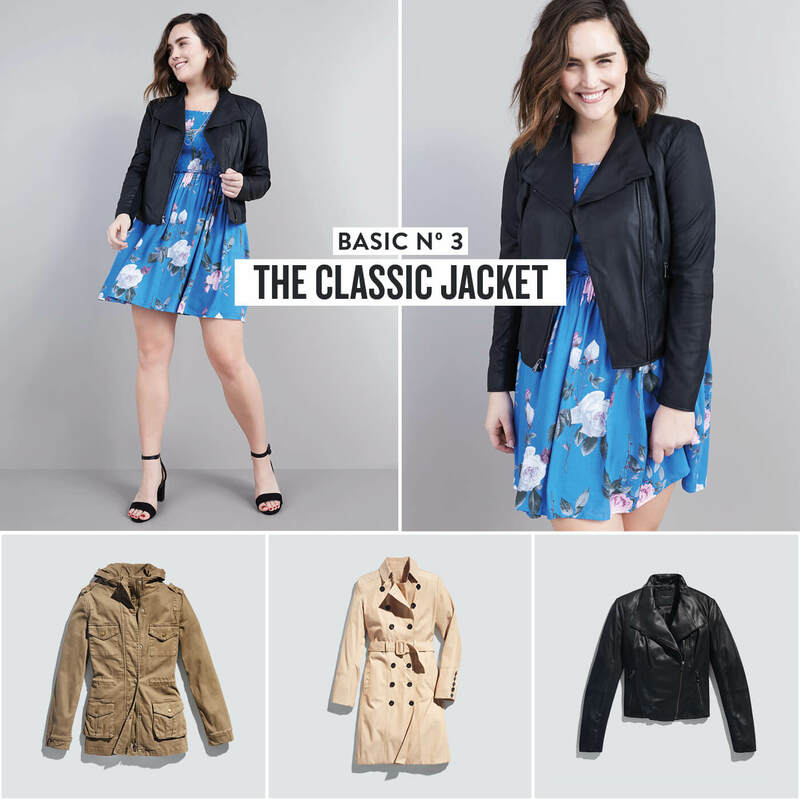 Whether you own a trench, utility or moto jacket (or all 3! ), these weekday-to-weekend staples complete almost any look in your wardrobe. They’re simple, sleek and have just enough detail to make any outfit interesting. If you’re looking for new ways to wear any of the above, try a pretty floral dress and strappy heels for a look that has a feminine edge that’s on point for spring. 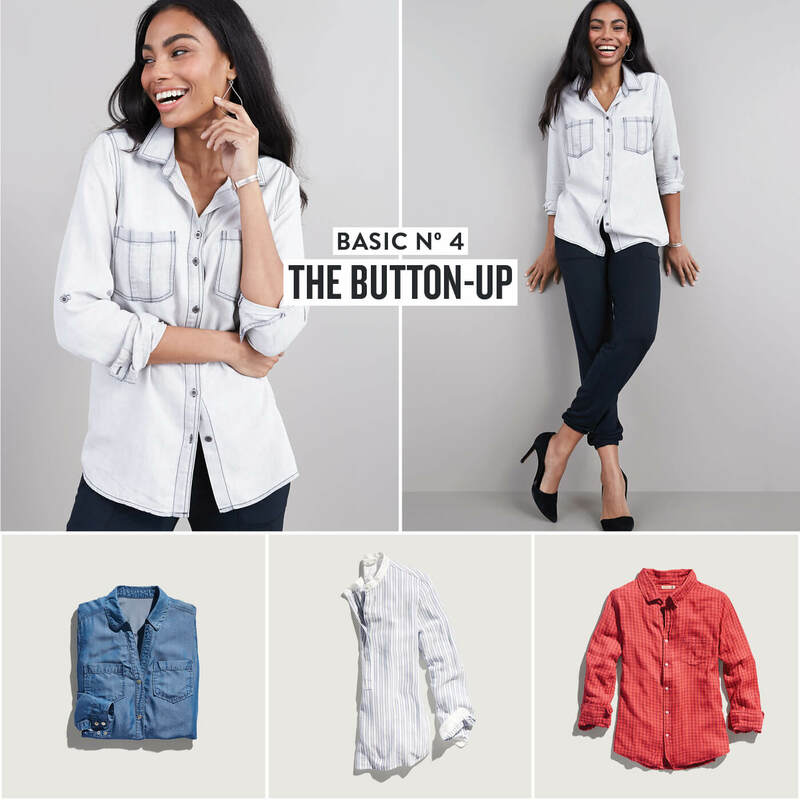 A classic button-down is the basic that’s anything but. Plus, there’s a reason they’ve stuck around year after year. Wear it as your foundational workwear piece or step it up for the weekend and give it an athleisure-inspired twist with dressed-up joggers or your favorite leggings. It’s a look that’s sporty-yet-smart and totally comfortable. What are you favorite basics? Tell us in the comments!